"If one of your clients has a bank or other financial account in a foreign country, or has signature authority over such an account, that client may be required to report the account using Form TD F90-22.1 , "Report of Foreign Bank and Financial Accounts," to the Treasury Department by June 30," said the IRS in an email to tax professionals. "Reporting of such accounts may be required, even if they do not generate any taxable income. "Form TO F 90-22.1 is not a tax form and should not be filed with any income tax return," the IRS added. "It may be filed either electronically or on paper. However, requests for an extension of time to file this form cannot be granted. Details are on the FBAR page on IRS.gov." Form TO F 90-22.1 must be received by the IRS on or before June 30, unlike other IRS forms, which can be post­marked on the due date. Offshore Voluntary Disclosure Initiative was created for taxpayers who wish to comply with tax laws regarding their foreign accounts. Through the OVDI, some taxpayers may be eligible for penalties as low as 5 percent, although many will face a 27.5 percent penalty. To participate in the program, taxpayers must file all original and amended returns (including payment of back taxes and interest) for up to eight tax years. "There are other options , " said Brager. 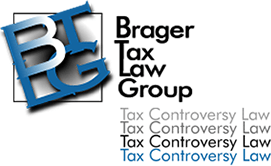 "I encourage anyone who has a foreign financial account and who has not filed an FBAR in the past, to consult with a qualified tax attorney to consider whether or not to enter the voluntary disclosure program . If the IRS discovers the account first , the penalties can be severe." Those who want to participate in the OVDI should not make a "quiet disclosure," where they file the FBAR and amend tax returns, he advised. According to the IRS, "quiet disclosures" risk being investigated and subjected to large civil FBAR penalties; however, the filers may be protected from criminal tax exposure.